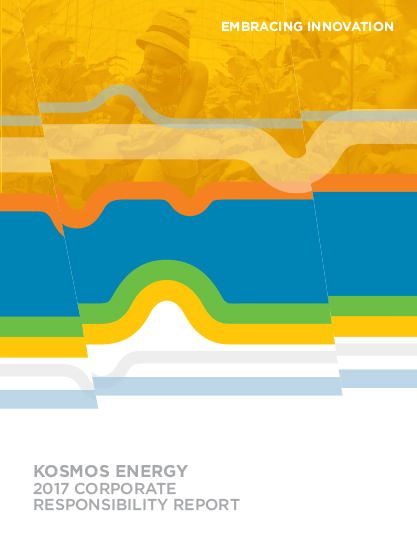 Kosmos Energy was founded with the goal of creating value for all of our stakeholders – investors, employees, and the governments and citizens of our host countries. Operating in a safe, responsible, and environmentally sound manner makes achieving this goal possible. 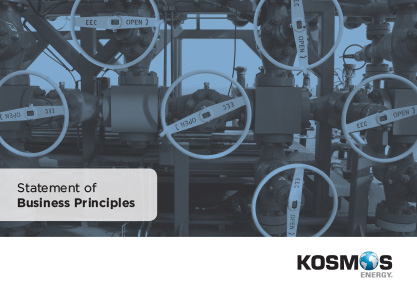 Our Business Principles reflect our shared values as company. 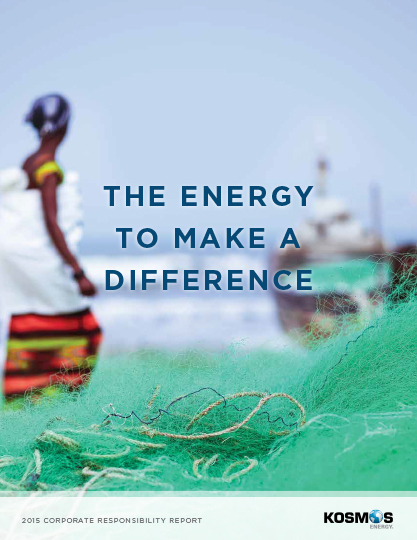 They are informed by the insights we have gathered over the years and the expectations of a responsible oil and gas company as set out by our stakeholders. How we will conduct business with joint venture partners, contractors and suppliers. Directors, officers and employees are required to comply with all aspects of these principles in their work activities and in representing the company. The principles are supported by more detailed policies, procedures, and management systems. We believe in transparency and document the actions we take to meet our commitments to stakeholders. 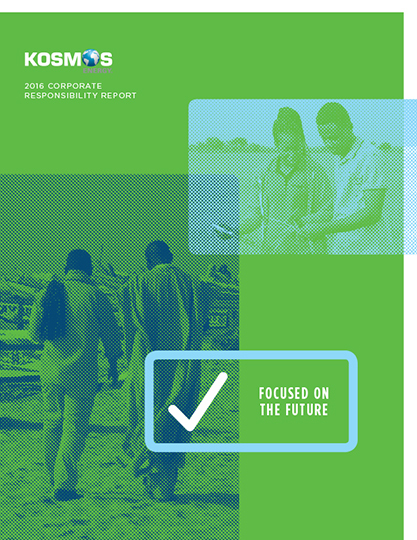 Our annual Corporate Responsibility Report also helps us track our performance and continue to improve the way we run our business.